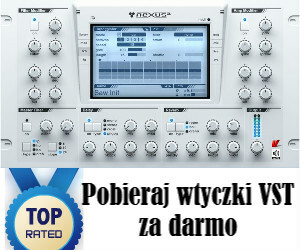 Spire VST (v1.1.4) to polifoniczny syntezator opracowany przez, założoną w 2009, firmę Reveal Sound łączący w sobie potężny silnik brzmieniowy z bogatymi możliwościami modulacyjnymi. Elastyczna architektura wtyczki, oraz intuicyjny graficzny interfejs przekładają się na niezrównaną użyteczność. Na pokładzie ponad 650 presetów fabrycznych. Wymagania: CPU z obsługą instrukcji SSE2 | XP/Vista/7/8 bądź Mac OS X 10.5 lub nowszy, aplikacja typu Host z obsługą formatów: VST2.4 bądź AU. [Aktualizacja: 18-05-2016] Reveal Sound udostępnił wtyczkę Spire w wersji v1.1.4. 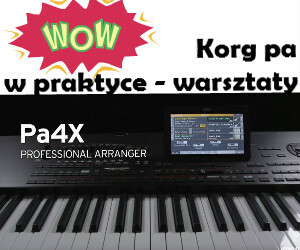 Rob Papen Soundware prezentuje syntezator RAW, opracowany przy udziale producentów Sebastiana Hoffa oraz Freeaka Vergoossena (znanych odpowiednio jako DJ Promo oraz DJ Free-K). Instrument napełniony jest przesterowanymi presetami z prostym w użyciu interfejsem użytkownika. Wtyczka działa w oparciu o 2 oscylatory oraz filtr. Różnicą w stosunku do typowych synteztorów Roba Papena jest zasosowanie equalizera wpiętego przed/ za efektem przesteru. Dodatkowym atutem będzie dedykowany waveshaper, moduł distortion z kilkoma typami przesteru, oraz kontroler efektu LO-Fi. Cena: €149 / $179. Do 30 kwietnia 2014 istnieje możliwość zakupienia wtyczki w cenie: €119-- / $139. Jak informuje użytkownik Neutron5 w majowym numerze magazynu Beat, który zakupić możemy z tej strony na załączonym DVD znalazły się między innymi wtyczki: Dune, Firebird, Z3ta+ oraz Waldorf LE. Koszt zakupu 40 zł. Przy okazji powyższego warto dodać, że na załączonym do czerwcowego wydania krążku znajdziemy aplikacje FXpansion Geist, Decadance LE czy Waldorf LE. Szczegółowe informacje na temat zawartości poszczególnych numerów znajdziesz tutaj. reFX has announced that Nexus2 has been updated to version 2.2.1 and three new expansions have been released: Kamui, Future Arps, and FM. They cost €69.99 each. reFX has updated rompler instrument Nexus to version 2.2, and two new expansions have been released: Vintage DrumKits and Crank 2. New modulation destinations: Layer 1-4 cutoff and resonance. Clicking in the title-bar of the librarian cycles through three font-sizes. Under certain conditions, the ARP-shuffle would introduce clicking/noises for the shuffled notes. Nexus is a next generation ROM synthesizer. Nexus delivers complex, ultra-fat, contemporary soundstorms. A powerful and flexible architecture is the foundation that supports the immediately useful and spontaneously engaging design of the instrument. Every aspect of Nexus was built to produce music of the highest quality, quickly, with the least amount of fuss. Native Instruments has announced Komplete 6, the latest version of its software bundle that has become a mainstay with professional musicians and producers. The new collection offers a veritable arsenal of acclaimed instruments and effects that cover all areas of modern music production, including powerful new versions of Absynth, Guitar Rig and Kontakt, at a significantly reduced price point (half the price of the previous bundle generation). Native Instruments has announced Guitar Rig 4 Pro, the next generation of its guitar studio. NI says that the fourth version "raises the bar on sonic authenticity with advanced new speaker emulation technology, and further expands on nearly all aspects that sets Guitar Rig apart as the most capable digital guitar solution". Native Instruments has announced Kontakt 4, a new version of the software sampler that takes its performance and versatility for music production, live performance and sound design even further. The fourth generation of Kontakt adds powerful "Authentic Expression Technology," unique sample compression, an extended studio-grade sound library complete with a convenient new database system and much more. Native Instruments has announced Absynth 5, a new generation of the semi-modular software synthesizer that is renowned for its unique evolving sounds and textures. 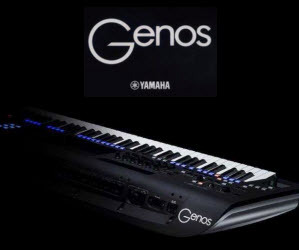 The new version enhances the sonic capabilities of Absynth with powerful additional synthesis and effects features as well as overall improved audio quality, and offers a new way to create complex sounds based on musical attributes.